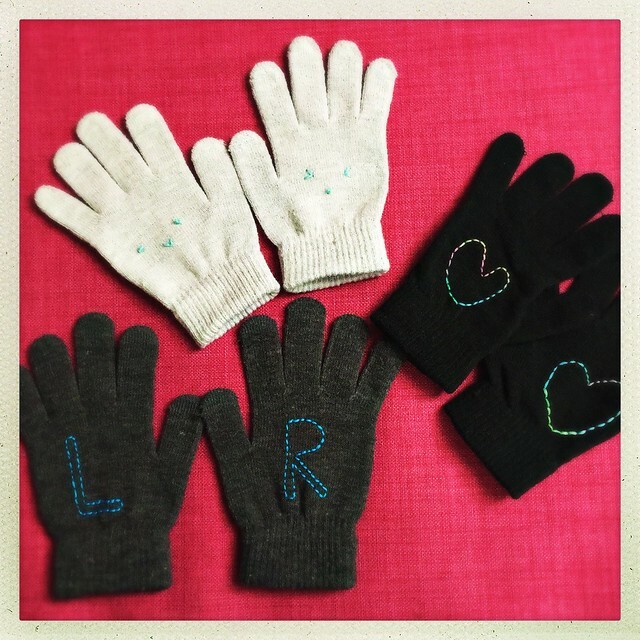 Last week I had another Crafternoon with my friends and was able to cross off another project from my list! 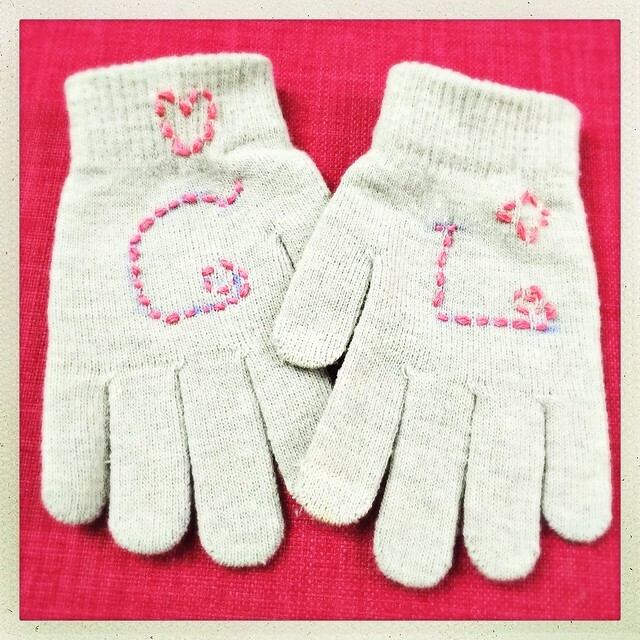 We each embroidered a pair of gloves and they are all so cute! 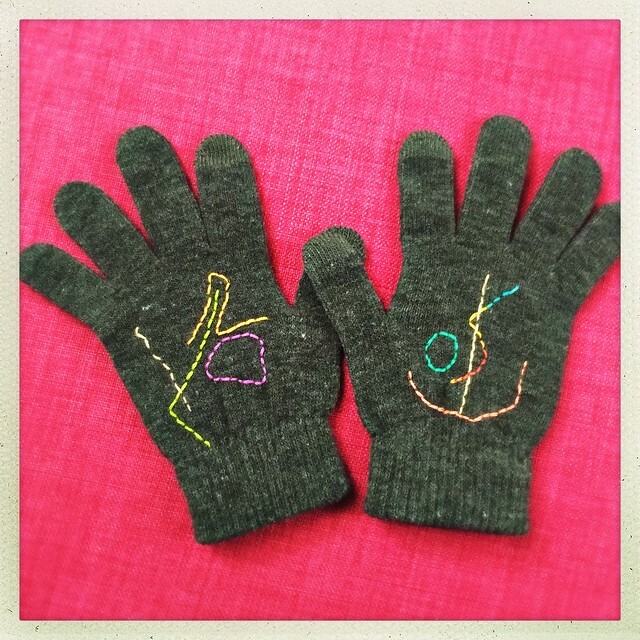 Katie put little bows on the wrists, Chelsea put her initials, and I stitched some abstract lines. I put mine on the next morning and tossed my old grungy looking pair aside. 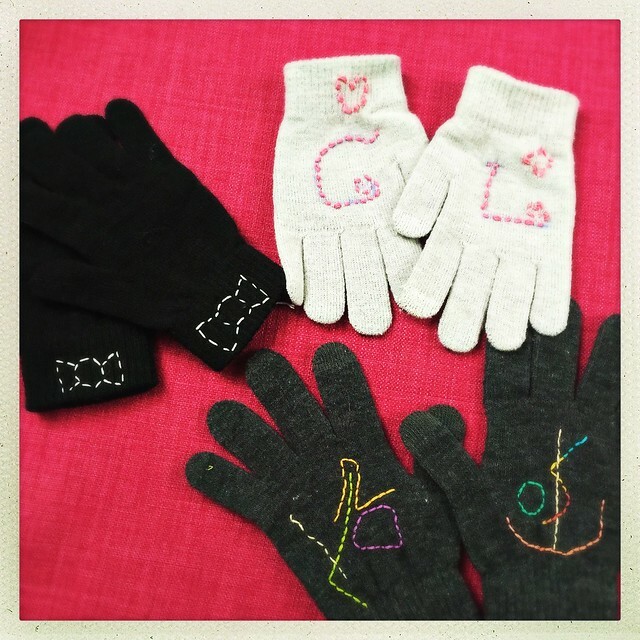 There were three more gloves and I was enjoying the cuteness so much I decided to embroider the others and am giving them away! 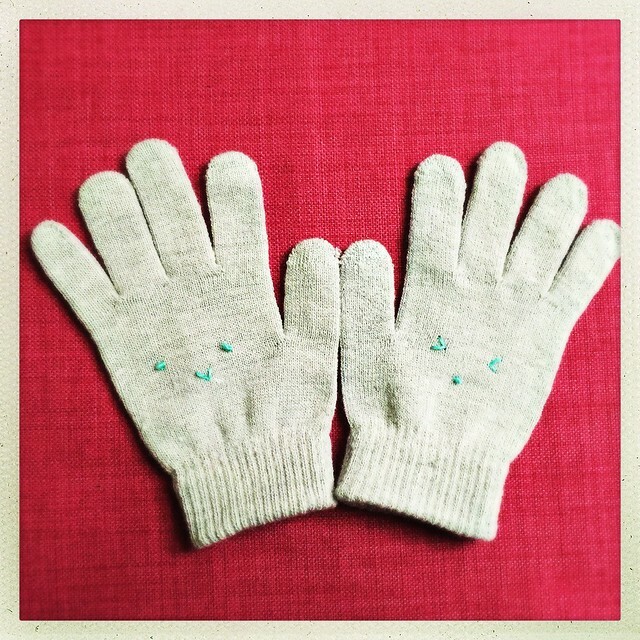 One pair has little faces that make me think of hand puppets. Another has hearts in color changing thread. 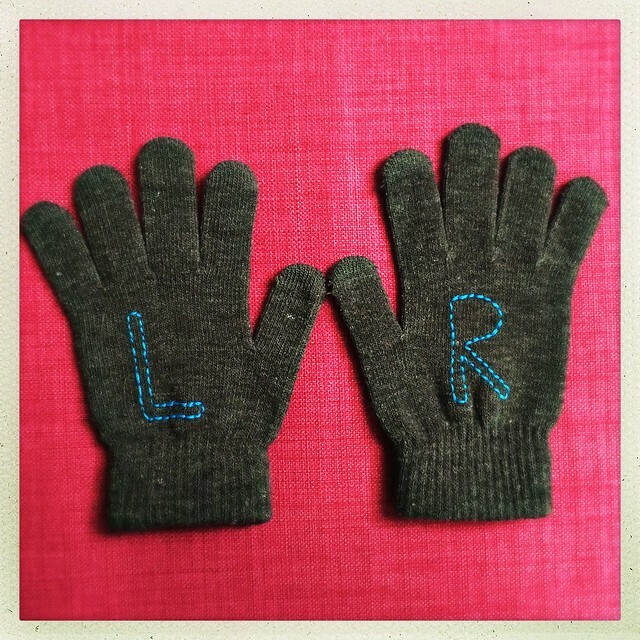 The third pair has an L and an R so you can remember which hand is your left and which is your right. 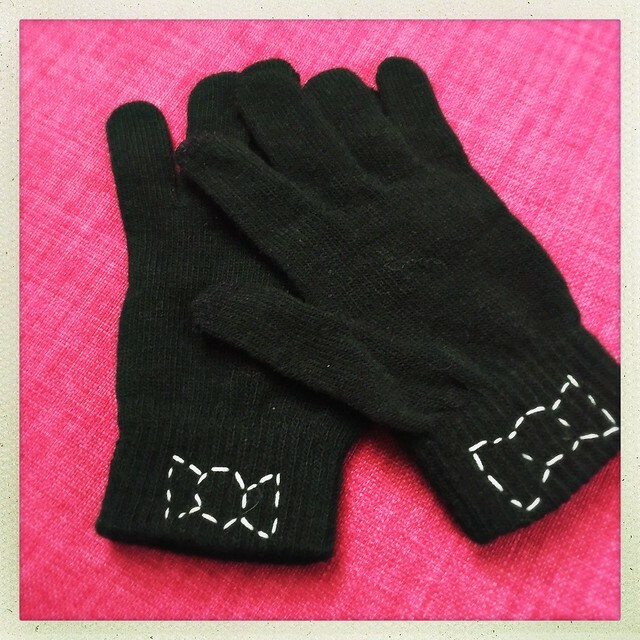 All the gloves are standard one-size women's stretch gloves and have conductive thread in the pointer fingers & thumbs. Smart phone compatible! 1. Tell me which gloves you like best in a comment below by Sunday, February 21st. 2. Wait. Three winners will be chosen by a random number generator and will be announced Thursday, February 25th. 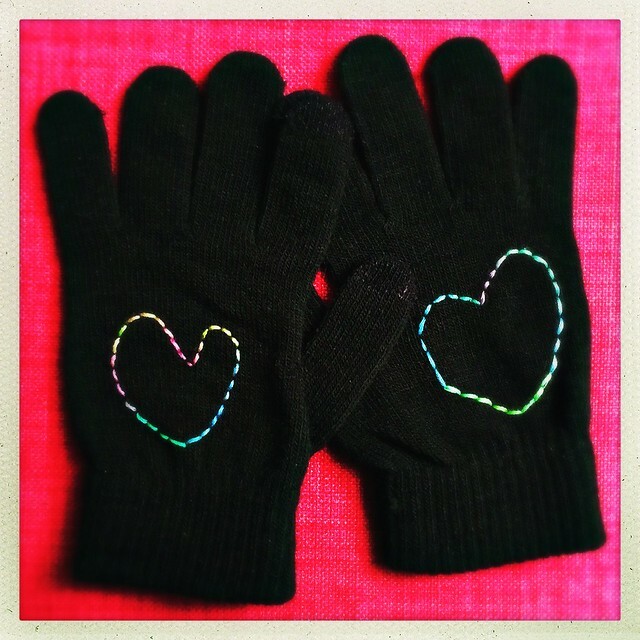 I really like the hearts! But you know me, I like hearts! Lol. All are very cute. You are so crafty. I love them all! But the faces and L and R are awesome. Lol i would never mess up which goes on which hand! The faces make me think kawaii.